The course is limited to no more than 10 people. After the first 10 deposits have been received, no additional bookings will be considered. Course fee: 10’000 CNY Tuition includes meals and accommodation. The room arrangements will be made on a first come first served basis. Booking deposit (non-refundable): 1’000 CNY (per person) will be subtracted from the course tuition upon arrival. Correction of movements allows novice practitioners to advance their skills quickly and effectively. Martial applications of the form’s movements will be explained in depth. Once completed, students will perform the Tai Chi 64 Form proficiently and demonstrate the applications associated with it. 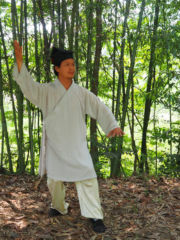 They will also have an understanding of Qi cultivation and how it applies to Tai Chi and Yin/Yang (阴/阳). 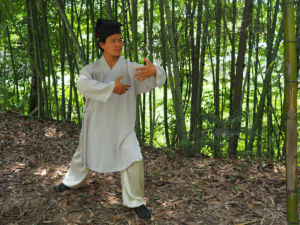 Wudang Michuan Taijiquan originates from the Wudang mountains and has been passed down through the lineage of XuanWu Pai. It is an inner-door practice that has historically been guarded within Taoistic circles and seldom taught outwardly. 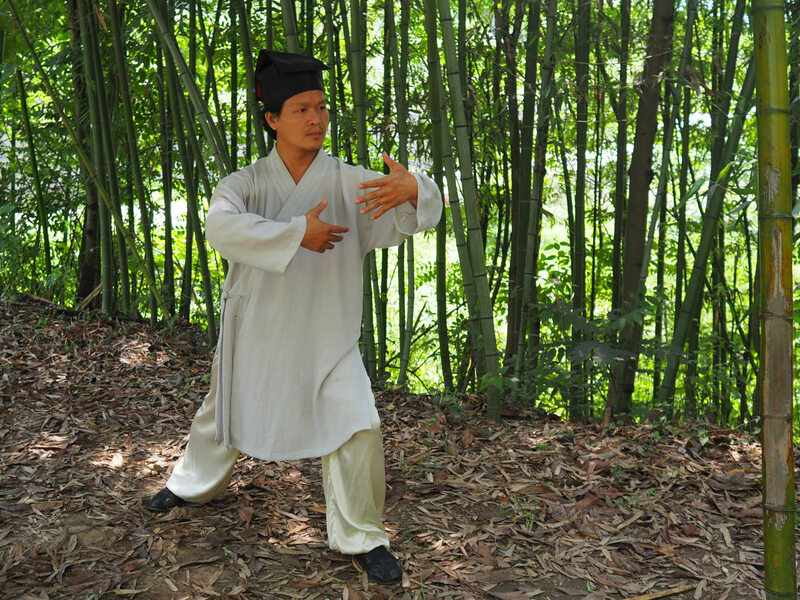 This Taijiquan form incorporates clear and practical movements, harmonizing health cultivation, body-strengthening, and martial applications within one practice. It is easy to learn, and easy to practice, suitable for all ages, male and female, alike. Wudang Michuan Taijiquan involves expansive movements, that are light and graceful, with full-bodied, circular, reeling motions, all in a continuous flow. Thus, embodying the Yin/Yang aspects to Taiji within the opening and closing, advancing and retreating, rising and falling, the full and the empty, and the interchange between each of these pairs. Through long-term practice, one’s tendons will soften and one’s bones will strengthen, one’s blood and Qi will flow more smoothly, the DānTián (丹田) will become full and energetically vibrant, one’s footsteps and stances will become both rooted and stable, yet at the same time light and nimble, one’s limbs and body will relax and soften, whilst gaining greater mobility and agility, the internal organs within the body will balance along with the balancing of Yin and Yang, such that ‘the one-hundred ailments’ will no longer afflict one’s body, reaping the benefits of health and longevity, as well as body conditioning and self-defense. It is truly a treasure of China’s cultural tradition, the quintessence of Taoistic wisdom.